First I asked you how well you were sleeping here, then I described what is really going on when you sleep here, and today I consider how loss of sleep affect your mood. Up late watching tv? Watch out world! Last night you stayed up late (studying for a big exam, preparing for a presentation, watching marathon episodes of Battlestar Galactica), and today, when you’re already running low on sleep, it seems as if the whole world is out to get you. Why is everyone so irritating? Why is the traffic so bad? Who are these awful drivers? Or wait… could it just be you? A plethora of research has shown that sleep deprivation affects your mood. A very basic equation: sleep deprivation = increases in negative mood and decreases in positive mood. But let’s break that down a bit more. The effects of sleep on negative mood. Both correlational and experimental (yes, researchers actually bring people into labs and keep them up all night… any volunteers?) evidence suggest that when people are sleep deprived, they feel more irritable, angry and hostile. Sleep loss is also associated with greater depressive mood. In addition, sleep deprivation seems to be associated with greater reactivity in that people who suffer from sleep loss are especially likely to react negatively when something doesn’t go well for them. For those of you interested in the brain – some research suggests that sleep deprivation enhances negative mood due to increased amygdale activity (a brain structure integral to experiences of negative emotions such as anger and rage) and a disconnect between the amygdale and the area of the brain that regulates its functions. In other words: increased negative mood, and decreased ability to regulate that anger! 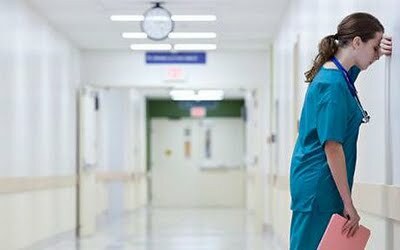 A lot of this research has been done with medical interns and medical residents, who often suffer chronic sleep deprivation as part of their crazy hospital hours. So the next time your Doctor doesn’t display good bedside manners, perhaps it’s because they need some sleep! The effects of sleep on positive mood. It seems like there is more research on sleep and negative mood, but researchers have found that people who were more sleep deprived report feeling less friendly, elated, empathic, and report a generally lower positive mood. Sleep deprivation also seemed to put a damper on people’s ability to reap the emotional benefits of a positive experience. In one study, people who were more sleep deprived did not report increased positive affect after an achievement, whereas people who’d had an adequate amount of sleep did feel better after their achievement (Zohar et al., 2005). In short, try not to take on frustrating tasks, interact with irritating people, or generally engage in too much social interaction when you are very short on sleep (i.e., NOT a good time to go argue with your boss about that promotion!). Also, try to make sure you get enough sleep before you celebrate your achievements, such as an important graduation, since sleep may help you savor them that much more! And if you do find yourself sleep deprived, or know that those around you are suffering from sleep loss, trying giving yourself (and them) a break… recognize you are more irritable because you are sleep deprived, and give them a break when they get snappish. Do you find yourself irritable on days when you get too little sleep? Do you think you could change how you act if you know that your irritability is likely due to sleep deprivation?